Trucking Pays Off With Position For Recent Grad After sending out nearly 200 applications since his graduation from college this spring, Christopher Self of Rapid City, S.D., finally landed a job. He used to drive a truck for a living. But field experience and relationships helped him move from the driver's seat to an office chair. Christopher Self hoped to put his trucking career behind him. Instead, it opened a door to a full-time job. NPR profiled a number of students who graduated this spring and entered what was perhaps the toughest, most uncertain job market in generations. Here, we update the series, with a look at how one grad fared in his quest for work. After sending out nearly 200 applications since his graduation this spring, Christopher Self, of Rapid City, S.D., finally landed a job. Self, an Air Force veteran, says he was getting worried he would not find work in his field -- supply chain logistics. But then in mid-September, he received his first real job offer. To start his new career, he will have to move from Rapid City to Omaha, Neb. So, on a recent Friday night, his friends packed themselves into his small house to relive some college memories, enjoy a few beers and say goodbye. "It is a dream job for me in my dream career field, so I'm pretty stoked -- pretty excited about it," Self says. Before the job offer, he worked long hours as a truck driver to help make ends meet while in school. But now he's moving out of the truck driver's seat and into a corporate office chair. 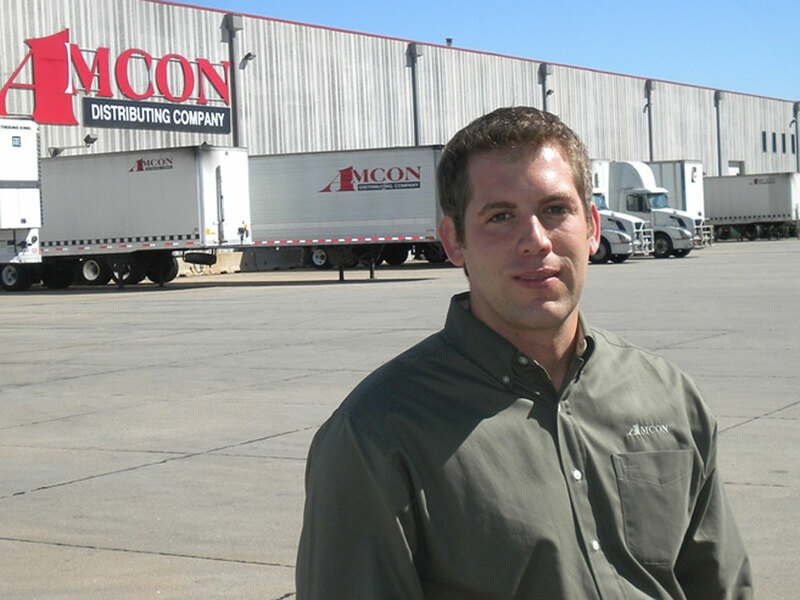 Self's new job is with the same trucking company he's been driving for over the past several years, Amcon Distributing Company. He will oversee the management of the entire fleet of trucks. "To be honest, some of the best connections I had were the networking connections," Self says. More and more in a difficult economy, the face-to-face relationship is the one that makes the difference, according to job placement specialists. "Companies hire people they know. They hire people who have experience in the field. So [Self] took advantage of both of those things," says Peggy Schlechter, dean of students at National American University -- the for-profit college Self attended. She says taking a blue-collar job in the same field you want a white-collar career is a good way to get a foot in the door. But Schlechter warns that it still takes some tenacity to land a dream job. "The job market now is tougher than it used to be, but there are jobs that are still out there," she says. "It might just take a little longer and a little more diligence." But diligence only goes so far. The unemployment rate for people with college degrees is less than half the national rate, but young people just out of school are still facing the toughest job market in a generation. The unemployment rate for recent college graduates is not likely to make any sort of quick turnaround, says Josh Bivens of the Economic Policy Institute in Washington, D.C., who has co-authored a paper on the job prospects for young adults in this recession. He says the prospects for these young men and women are "pretty much following the rest of the labor market, in that it's been stuck in neutral for about the past eight or nine months. And there is no sign of improvement." Expensive education and training sometimes do not help with job searches, Bivens says, noting that young college graduates have not been able to buy themselves out of the bad labor market. He says the unemployment rate for college grads won't improve until the economy begins to grow. Unlike many recent grads, Self doesn't have any debt. As a veteran, the military paid for his degree. So he felt obligated to taxpayers who covered his education to keep the job search going. "From some of the predictions I was hearing from some of the industry experts, it was up to a year that I should be job hunting," he says. Self knows he's lucky. For a large number of recent graduates who are still searching for jobs, there is no reason to party.